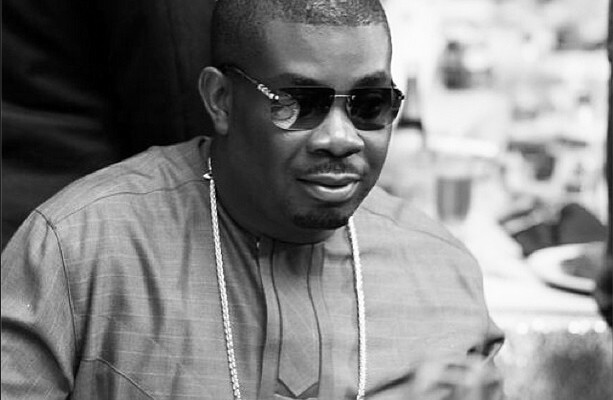 Mavin Records label CEO, Don Jazzy, has taken to his his Instagram page to reveal the list of people in the media and entertainment industry that have inspired him in the past 12 months. The prolific music producer and singer, revealed that he was put up to the task by a friend who asked him to make a one minute video on people that inspired him in 2018, as he mentioned some names and explained why they made the list. Don Jazzy revealed that he was inspired by former musician and blogger, Tunde Ednut, because he is still going strong despite facing attacks from naysayers. Another person to make the list is Speed Darlington, a Nigerian musician known for his unconventional style of singing. According to the Don, he admires Speedy’s drive and passion. Other stars to make the list include musicians, Davido, Burnaboy, and Johnny Drille, Banky W, MI Abaga as well as Miss Nigeria USA 2017, Idara Inokon, and TV host, Idia Aisien, to name a few. Don Jazzy also challenged some other celebrities to make a video of people that inspired them during the year. He posted the video and wrote: “So @dukeofspadess tagged me to do a one minute video mentioning people that inspired me this year. On something he has tagged #InstagramForGood. Well I really like that as I have been thinking about something similar for a long time. Now apart from obvious close friends like @tiwasavage @iamdrsid @tegamavin @djbign and @dukeofspadess Himself etc. i have mentioned some people in the video that I haven’t told personally that they inspire me. Pls give a shout out to these amazing people to name a few @bankywellington @mi_abaga @tundeednut @idara.inokon @speeddarlingtontv @davidoofficial @burnaboygram @matice.ahnjamine @mayanator @doctoridia @johnnydrille etc. ahh they re plenty ooo.